Guided imagery meditation offers a variety of benefits from providing relief from stress to developing one’s athletic skills. This procedure provides a gentle nudge through metaphors and guided imaginations with the aim to give you a more positive outlook and a powerful healing effect. But like any other concept, there will always be misconceptions looming in people’s heads. Do you also have these misconceptions on guided imagery meditation? A few years ago, the concept of “creative visualization” as a form of meditation and introspection became popular. The guided imagery meditation, however, is more than just the use of the visual sensory perception because the process includes all other senses such as taste, hearing, smelling and even touch. Unlike visualization, the imagery includes suggestions of what can be heard, smelled, tasted and touched such as the creation of a stunning garden full of colorful flowers with the sound of birds sweetly singing as a cool breeze brushes through your cheeks. In the same manner as visualization, the guided meditation with imagery is also simply not a form of metal imagery as the entire process is not just about what you have in mind. For one, your sensory perception is also involved during this guided trance as previously mentioned. But other than these, the meditation also included the entire body with the muscles, heartbeats and blood flow, among others. Furthermore, emotions are often incited as you go through guided imagery for anxiety, anger and other strong negative feelings suppressed inside you. 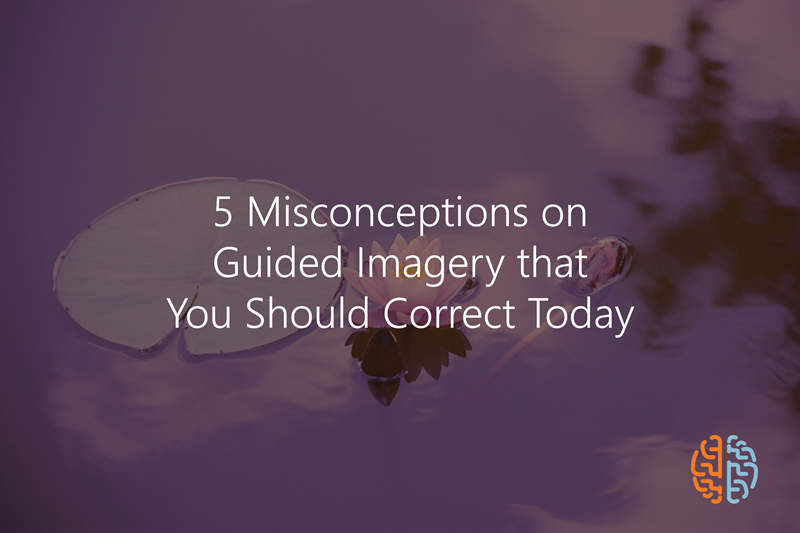 It’s true that guided imagery can help you relax. In fact, it’s a great way to obtain relief from stress whether from work, relationships or life in general. Moreover, this relaxing process is also great for calming down any strong feelings as you can bring yourself to a guided meditation for anger. There are also meditation scripts for any other negative conditions like depression and phobia. But the guided imagery isn’t just a form of relaxation. Some athletes use it to give them confidence in their games while others undergo the process as a form of training their mind and body for the activities ahead. Other uses for guided imagery you should know include getting relief from headaches and anxiety, minimizing blood loss especially after surgery and losing weight. Many people will think that the guided imagery meditation is simply a part of New Age trend and there is no any scientific basis that such practice can be beneficial to those who undergo it. But in the fields of cognitive psychology and psychopathology, there have been scientific researches and clinical investigations that focus on how this sensory perceptual experience can help people’s lives especially those dealing with negative emotions or conditions. In another study, physiologist Edmund Jacobson revealed that visualization can help athletes improve their skills and perform better in their game. In his research where he used sensitive detection devices, he found out that there are real movements in the muscle when someone goes through the meditation especially when visualizing a game. Such movements, through constant imagery meditation, can develop what’s called “muscle memory” that is accessed when the person is in the actual game. While it’s true that people with strong visual sense can have meaningful journeys through this kind of meditation, ordinary individuals will also be able to benefit from it for so many reasons. For one, our mind has a natural tendency to follow through attractive sensory images brought about by guided descriptions. Also, everyone can visualize a concrete picture because imagination doesn’t take into consideration the race, age, class, education and gender of the person.